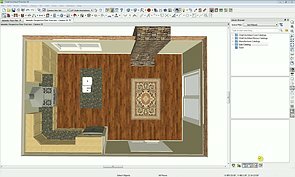 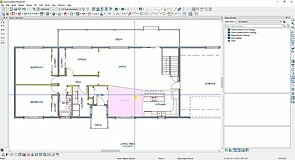 Defining rooms to create customized designs: adjust floor and ceiling heights to create split level or split entry designs, create custom room types, custom flooring and material regions, bearing walls and stepped foundations. 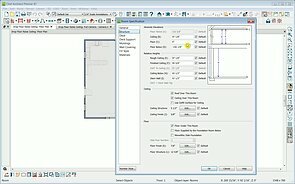 You can create custom room types and assign those room types specific attributes. 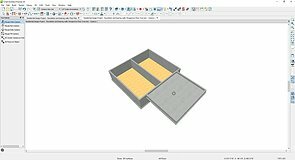 Use the Hole in Floor Platform tool to cut an opening in the floor platform. 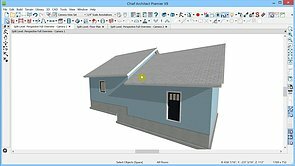 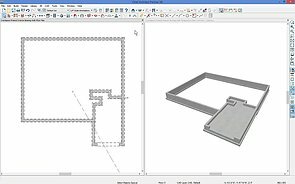 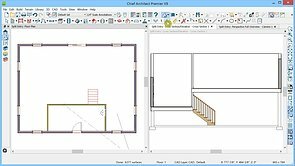 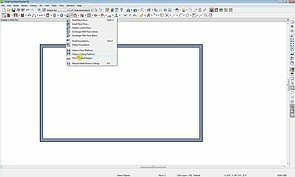 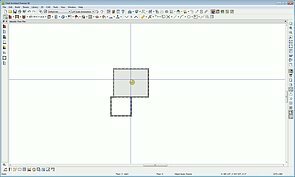 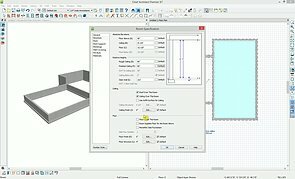 You can specify the thickness and framing materials used to construct floor and ceiling platforms on a floor-by-floor basis in the Framing Defaults dialog. 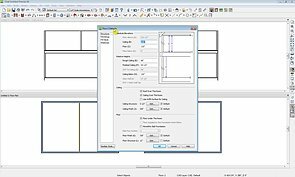 Use the settings in the Room Specification dialog to set floor and ceiling heights. 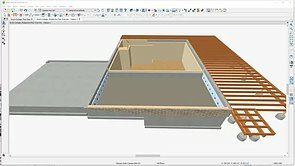 Place a bearing wall in the crawlspace of the foundation and frame it using these instructions. 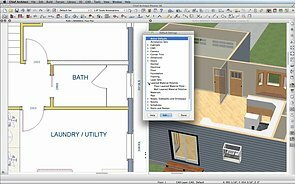 A split level entry, or divided entry, is characterized by an entry door that opens onto a landing positioned half way between the basement floor and first floor levels.